Are you looking for affordable, high quality outdoor gear and apparel but don't have any idea what brand to choose. Beshie, you're in the right place. I have good news for you and your wallet. Did you know that Montem Life offers the highest quality gear for the best price with a touch of style. They offer trekking poles, daypacks & backpacks, travel bags, blankets, clothing's, and more. Click here and it will take you straight to the website. 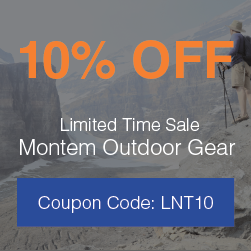 Don't forget to use discount code LNT10 to get 10% discount. Amazing right! Happy Shopping! !